Typical GEM parts are implemented using several families of BiCMOS standardized base gate arrays. A typical array includes BiCMOS Input/Output Cells and a CMOS interior array. Each array incorporates special circuit elements to enable matching both propagation delay timing and interface electrical characteristics of the required device. Each Emulation defines double-metal custom interconnections ("personalization") to connect the necessary logic elements for accurate emulation on the base array. 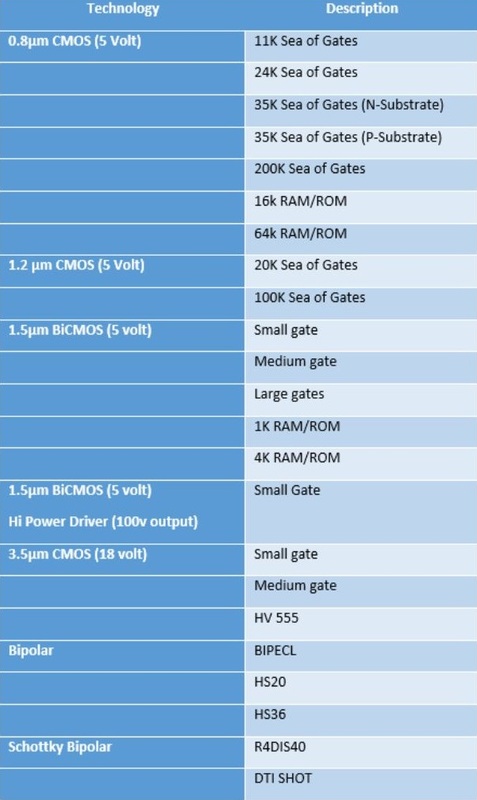 CMOS, Bipolar and Schottky standardized gate arrays are also available and chosen based on device unique requirements.